RIP Bill Daily - Commercials I Hate! Another beloved celebrity from the 60's and 70's has left us. Bill Daily, the actor who portrayed Major Roger Healey on I Dream of Jeanie and Bob Hartley's goofy neighbor Howard Borden on The Bob Newhart Show has passed away at the age of 91. I didn't even realize he had a name. I was just a young (man) boy. RIP, Bill. 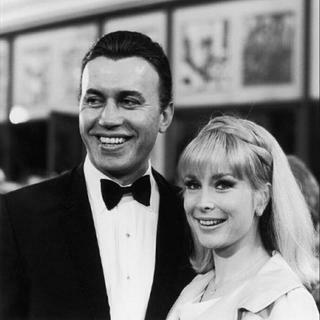 I had a serious case of the hots for Barbara Eden. Then again, you probably had the hots for Jane Jetson, too. That was kinda cold, Thor. But I hear where you're coming from! RIP Bill Daily, and thanks for all the laughs! He died on September 4 and they're just now telling us. Even Barbara Eden only tweeted about him last night. He died at the age of 91, just five days past his birthday. He is survived by his son who is a key grip in motion pictures. Well who WASN'T hot for Jane Jetson???? A bit part actor named Michael Ansara. After he got a bit older, and after he and Eden were long since divorced, he got regular work playing Klingon Commander Kang in three different Star Trek series'.